Tag Archive | "Benefit Concert"
In 2017, American Red Cross volunteers responded to three historic back-to-back hurricanes—Harvey, Irma and Maria—and the deadliest wildfires in California’s history. These volunteers are heroes for their selfless service in time of need. West Michigan is also fortunate to have its own heroes serving our communities right here at home, and the Red Cross of West Michigan will honor them at the 2018 Hometown Heroes Encore Event on Tuesday, April 10, 2018 at 20 Monroe Live in Grand Rapids. The Red Cross of West Michigan has celebrated more than 50 individuals over the past decade at this annual event for their commitment to service. The evening is a celebration of humanity, as well as an opportunity to connect with members of the community, Red Cross staff and volunteers. In addition to networking and live music, Hometown Heroes Encore will include a cocktail hour, sit-down dinner and a live auction. 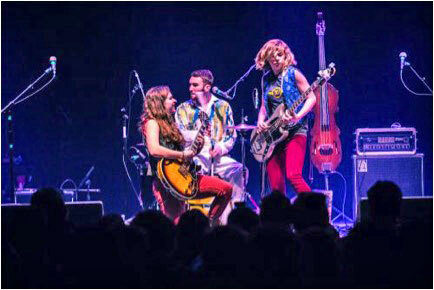 The evening’s musical headliner will be The Accidentals, one of Yahoo! Music’s top ten bands to watch in 2017. The benefit concert portion of the evening is open to the public. Ticket information is available at www.redcross.org/HometownHeroesEncore.